Chances are, if you have motion sensing products around your home you’ve seen it turn on when no one was around, or fail to turn on when someone walked right past it. Motion sensors are one of Jenesis’ core competencies, and it is our belief that, just as with battery power, motion sensors don’t have to be synonymous with a lack of reliability. 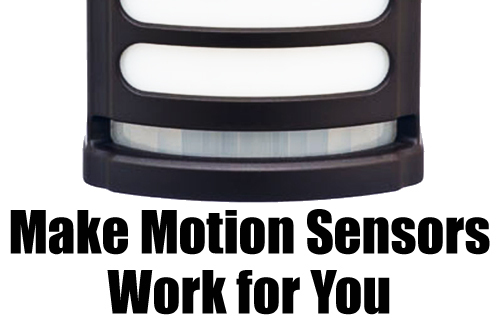 Passive infrared (PIR) motion sensors are the kind most commonly found in security systems and motion activated spotlights, as well as in our Motion Deck Light. Here are some quick tips for how to properly set up a device that uses PIR. 1. Remember that passive infrared sensors detect changes in temperature. The “passive” part of passive infrared sensors means that the device doesn’t generate any signal of its own. Instead the sensor relies on temperature changes created by object in its field of view. If temperature conditions in the product’s line of sight change quickly, it will turn on. Unfortunately, even the most well designed sensor will still have trouble detecting a person if they are close to the same temperature as the environment. No matter how much it may want to do its job, your PIR sensor is going to have trouble seeing you if you’re walking out to the pool on a hot day, or back in from a snowball fight in a heavy winter coat. 2. Check for ghosts. When setting up your passive infrared motion sensing product, consider what other sources of heat are in its field of view besides people. A common source of infrared ghosts is leaves waving in the breeze in front of a sun-warmed surface like pavement or the neighbor’s roof. 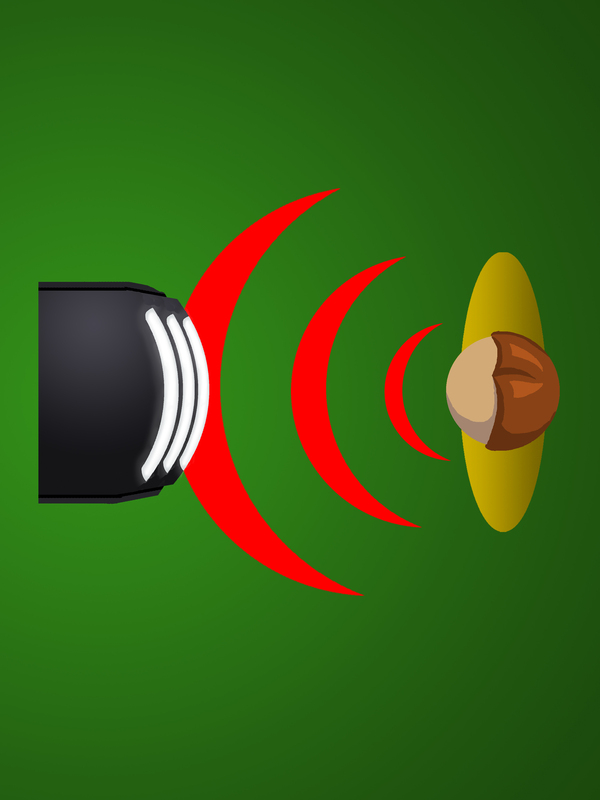 From the motion sensor’s point of view a warm object appears to be moving rapidly in an out of view, causing it to trigger. 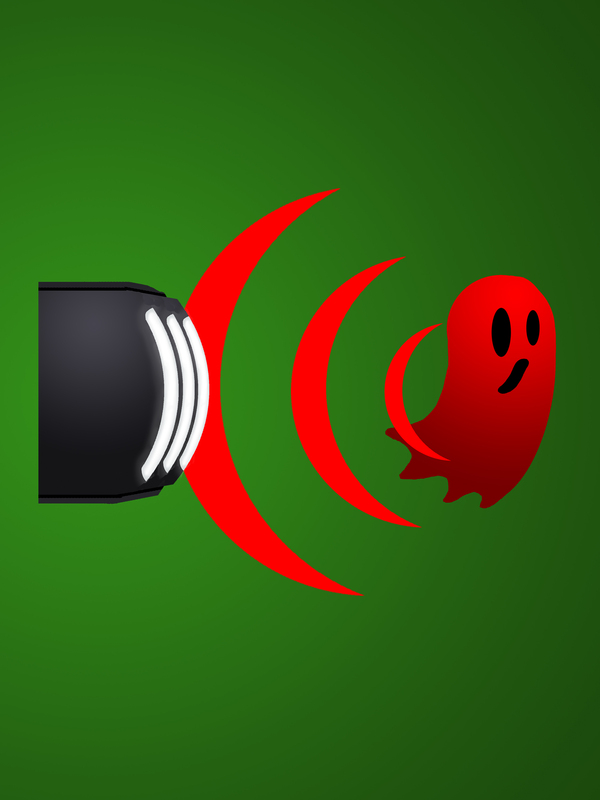 Another potential source of ghosts is a broken air seal. It is important that the PIR sensor compartment be air tight. If the seal is broken, wind gusting into the product housing can cause false activations. 3. The sensor pattern is oval shaped, not pie shaped. Most motion sensing products will include information on the maximum range and angle of the sensor, something like 30 feet and 160 degrees for example. 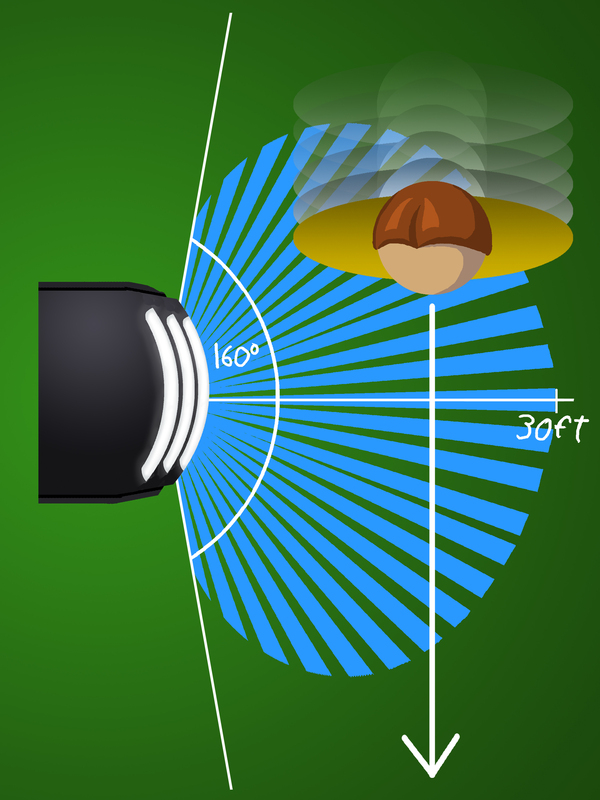 Most consumers then assume that the product can “see” in a perfect 160 degree pie wedge that radiates out from the sensor to a distance of 30 feet. 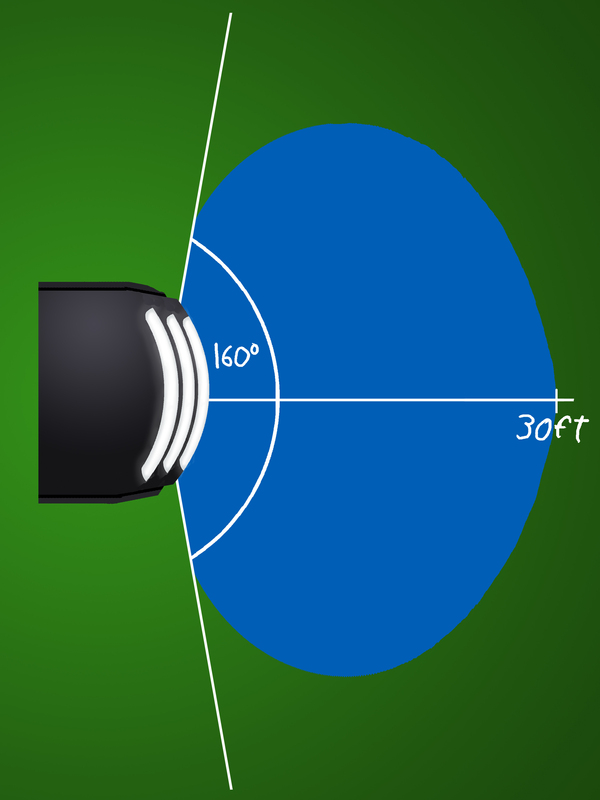 In fact the sensor pattern is oval shaped, with a maximum width of 160 degrees and a maximum length of 30 feet. There are natural weak points in the pattern, particularly close to the sensor in its “peripheral vision.” Make sure that you aim the sensor with this in mind. 4. Passive infrared sensors are best at detecting side-to-side motion. Within the oval shaped sensor pattern a PIR sensor actually collects heat in discrete slivers with gaps in between them. The product will activate more reliably if a person walks past the sensor, intersecting several of these slivers, instead of walking straight at the sensor. To get the best results from a motion-activated product, mount it at 90 degrees to your walkway instead of pointing it directly at the flow of traffic.